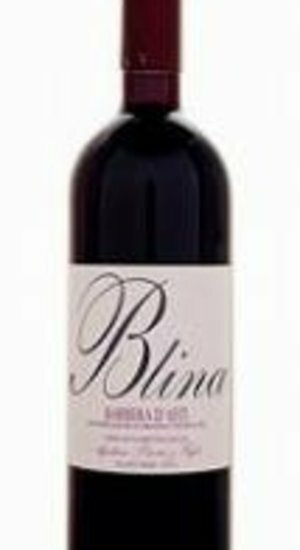 'Blina' is the name of the vineyard. This wine is a direct, straightforward rendition of the Barbera grape. Fresh acidity and berry flavors are the hallmarks of Barbera, but low yields and old vines give this wine very good depth and concentration, too. Fermentation and aging are completed in stainless steel, and the wine is bottled before the following harvest. (There are two things I like about wines that aren't aged in oak; one of them is that they taste of fruit, rather than oak, and the other is that they are better value. New barriques cost $800+ each.) Notes: bright red color with a violet rim; aroma of red berries and mineral; palate is classic Barbera, bright raspberry/cranberry flavors with a very long finish.